The organizers of Game Developers Conference 2010 have added several new Audio Track lectures, including talks on prominent titles such as Final Fantasy XIII, Dante's Inferno and the Halo franchise. Continuing the GDC 2010 track-specific announcements, following new Business Track details, the Audio Track "looks at the game development process from the standpoint of developing dynamic videogame sound and offers direction for developers who wish to understand complex sound composition strategies." The notables at the Game Developers Conference 2010 Advisory Board tasked with programming the Audio Track include Media Molecule's Kenneth Young (LittleBigPlanet), veteran composer Chance Thomas (Lord Of The Rings Online, Avatar), Video Games Live co-creator Tommy Tallarico, and more. This presentation from two Square Enix Japan notables working on Final Fantasy XIII, Yoshinori Tsuchida and Tomohiro Yajima, will explain how, in the big-budget RPG, "new techniques have been introduced for creating sound effects that automatically trigger in response to the angles and velocities of characters -- as well as collision detection algorithms assigned to every terrain in the game environment." Audio director Tomoya Kishi and supervising sound designer Peter Zinda will discuss the sound design work flow on Capcom's Lost Planet 2, which represented a major shift for the long time collaborators. The lecture will "concentrate on how Capcom involved sound designers in the audio implementation process, as well as technology used to enable long distance collaboration." The organizers of Game Developers Conference 2010 have revealed major Business Track talks for the March 9th-13th event, including EA DICE's Ben Cousins on "what Wal-Mart tells us about gaming", and the Tripwire and Tiger Style founders on game biz success. The announcements come as part of the first of a series of GDC 2010 track-specific announcements, this one focusing on the Business & Management Track, which "looks at the game development process from the standpoint of running the business, and offers proven strategies for the developer who needs to understand complex business issues." The subset of the Game Developers Conference 2010 Advisory Board tasked with programming this track include notables such as Epic Games president Mike Capps, InstantAction CEO and Westwood Studios co-founder Lou Castle, and Warner Bros. Seattle studio GM Laura Fryer. In this lecture, Thief designer Randy Smith explains his indie studio Tiger Style released Spider: The Secret of Bryce Manor on the iPhone, topping the App Store charts amidst praise from players and press and netting over a quarter of a million dollars. He will discuss "team building, infrastructure, sales, compensation, process, schedule, project direction, product design, marketing, and more." GDC 2010 organizers have revealed the initial iPhone Games Summit line-up for the March 9th-10th event, including tech and biz talks from the creators of Canabalt, Touch Pets Dogs and more. The notable new summit, taking place on the first two days of Game Developers Conference 2010 at the Moscone Center in San Francisco next March, will bring together top game developers from around the world to explore ideas, share best practices, and discuss the future of Apple's handheld platform. The two-day program will highlight the best of iPhone development, with an entire day discussing the nuts and bolts of technical and design techniques. The second day will focus on the business and marketing strategies behind successful iPhone game companies. Some of the heavyweight Summit advisors for the event from the world of iPhone games include Electronic Arts' mobile VP Travis Boatman, Snappy Touch founder Noel Llopis (Flower Garden), and Ngmoco VP Alan Yu. 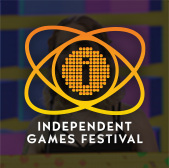 The Independent Games Festival has announced the Main Competition finalists for the twelfth annual presentation of its prestigious awards, celebrating the most innovative creations to come out of the independent game development community this year. Nearly $50,000 in prizes in various categories, including the $20,000 Seamus McNally Grand Prize will be awarded on stage at the Independent Games Festival Awards on March 11, 2010 during the 2010 Game Developers Conference in San Francisco. The record-setting 306 Main Competition entries represent a 35% increase over last year's record 226 entries, many of them striking new titles from leading indie developers. This year's finalists are led by multiple nominations for several notable games, including three nominations for innovative light-centric puzzle platformer Closure, and two nominations each -- including a Grand Prize nomination -- for Pocketwatch Games' stylish co-op heist game Monaco, Hello Games' polished stunt motorbike title Joe Danger, Ratloop Asia's cinematic avian action title Rocketbirds: Revolution!, Krystian Majewski's gestural photographic adventure game Trauma, and Team Meat's cartoon-gory 2D action title Super Meat Boy!. To ensure the highest-quality judging for the IGF, more than 150 leading indie and mainstream game industry figures -- from 2D Boy's Ron Carmel through Spore's Soren Johnson to ThatGameCompany's Kellee Santiago and beyond -- were recruited to choose finalists via a carefully constructed empirical process. The Festival is particularly keen to give constructive, written feedback to Main Competition entrants -- even if they did not place as a finalist. As a result, over 1500 written, anonymized judge comments will be passed along to entrants in the next few days, an important part of deriving value and takeaway from entering the IGF. In addition, for the first year, the IGF's Nuovo Award, intended to "honor abstract, shortform, and unconventional game development which advances the medium and the way we think about games", was judged by a separate, smaller juried panel of notable game and art world figures. These spanned previous IGF Nuovo winner Jason Rohrer (Passage), Area/Code's Frank Lantz, N+ co-creator Mare Sheppard, EA division head and art-game creator Rod Humble, and more. The jury for the $2,500 Nuovo Award, which allows more esoteric 'art games' to compete on their own terms alongside longer-form indie titles, has released a statement about the chosen Nuovo finalists, including several 'honorable mentions', on the official IGF website. Game Developers Conference 2010 organizers are reminding 2008 and 2009 GDC attendees that December 22nd is the last day to register with an alumni discount for the March 9th-13th, 2010 show in San Francisco. Organizers have announced that the 2010 Game Developers Choice Awards, the most prestigious honors in the world of video game development, are now open for nominations through Jan. 4, 2010. 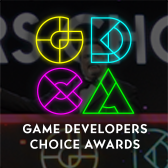 In its tenth year of honoring the best games and developers, the Game Developers Choice Awards -- the leading awards voted on by developers, and created for developers -- has adopted a new voting methodology. Starting this year, winners are now being selected by the Game Developers Choice Awards-specific International Choice Awards Network (ICAN), which is a new invitation-only group comprised of 500 leading game creators from all parts of the video game industry. Game Developers Conference 2010 organizers have announced its first set of Main Conference lectures for the March 9th-13th event, with Uncharted 2, Braid and Brutal Legend-specific talks already confirmed. As organizers of GDC 2010 start to announce the line-up, the new Social & Online Games Summit has revealed initial speakers for the March 9th-10th event, including Zynga, Playfish and IMVU execs talking Farmville, Spore Worlds and more. 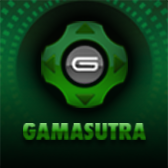 Montrealâ€™s Kokoromi collective has announced its theme for Gamma 4, with game makers challenged to make "innovative, experimental new games played with just one button" to be showcased at Game Developers Conference 2010 in San Francisco. The organizers of the GDC 2010 event the 12th Annual Independent Games Festival -- the longest-running and largest festival relating to independent games worldwide -- are proud to announce record entry numbers for both IGF 2010's Main Competition and the IGF Student Showcase, with almost 500 games in total.